And it’s not only because of the blood red colour of the phone…. Four years ago, when a Chinese mobile manufacturer entered the smartphone segment in India, I thought it was going to be one of those companies that tries very hard to make a mark but ends up being relegated to the ranks of your ordinary has-beens. 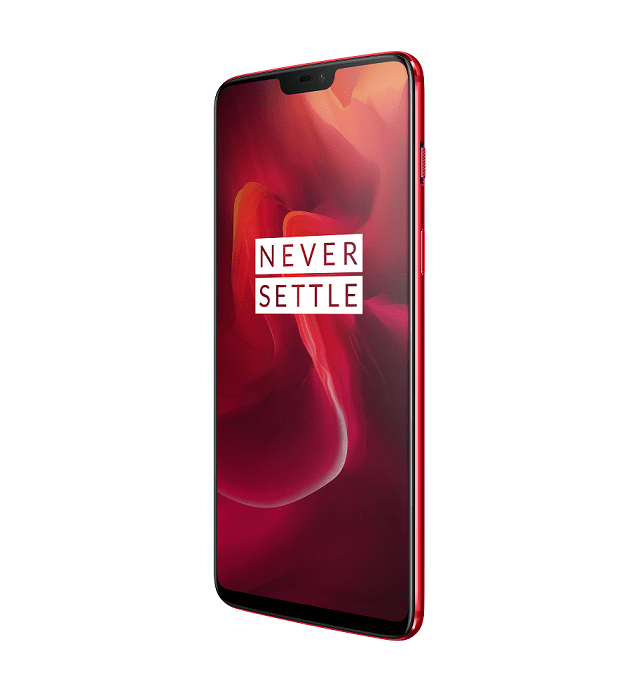 I have to say that every successive OnePlus phone has only impressed me and having previously used the OnePlus 5 Limited Castelbajac Edition, I couldn’t wait to get my hands on the OnePlus 6 Red, which launches exclusively on Amazon today. 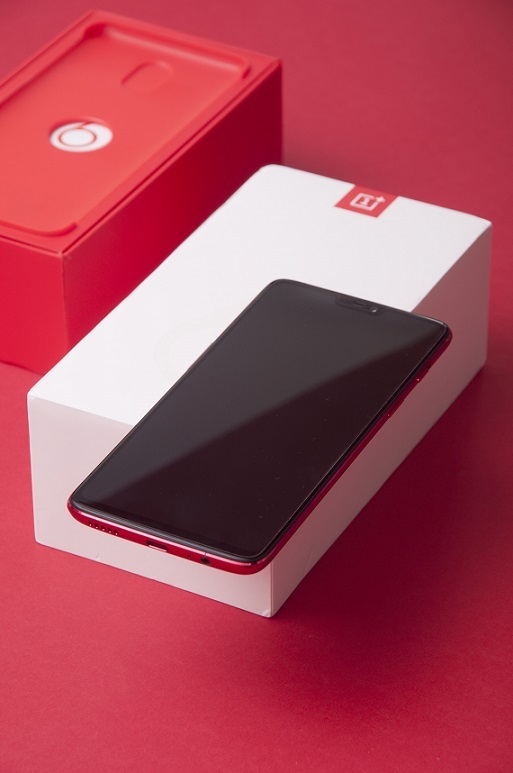 The new variant joins the other four that are already available to OnePlus loyalists — OnePlus 6 Midnight Black, OnePlus 6 Silk White, OnePlus 6 Mirror Black and the OnePlus 6 Avengers Edition, which has a weave pattern on its glass body. 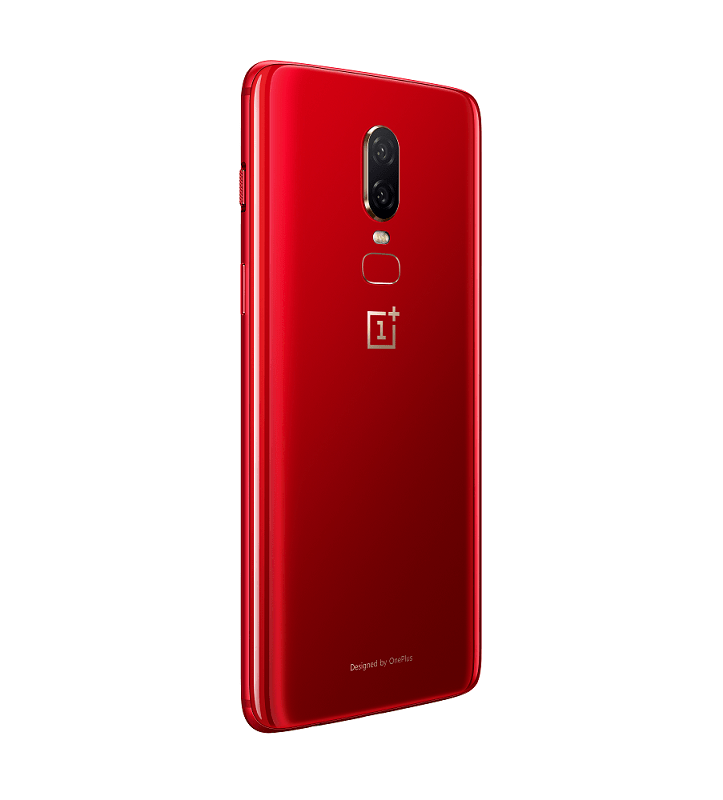 And although those editions come with their own merits in terms of design, the OnePlus 6 Red is a clear winner when it comes to the finishing line. 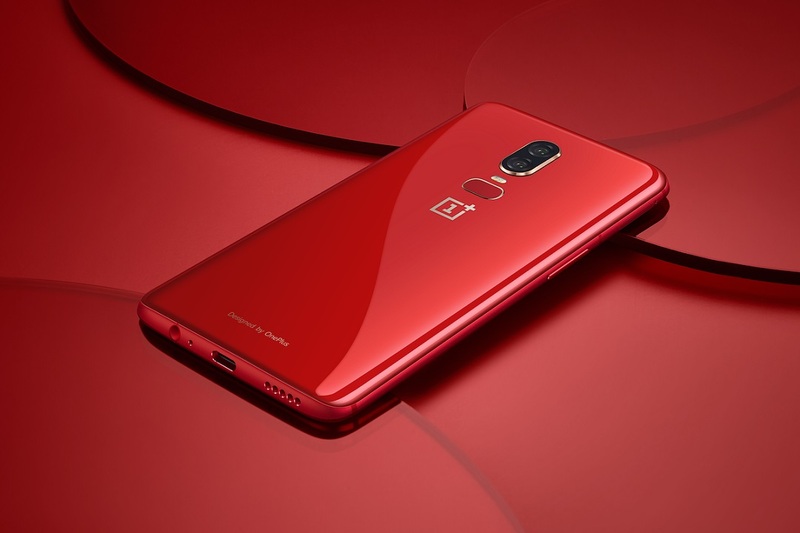 There’s something about the deep cherry red that sets the phone apart from other handsets in the same colour range, which could have something to do with the new film coating process that’s never been attempted before in the smartphone industry. The resulting red is a shade that is somewhere between the raw fury of the Norse gods and the sporty opulence of a Ferrari, made even classier by a glossy, transparent layer over the coating. 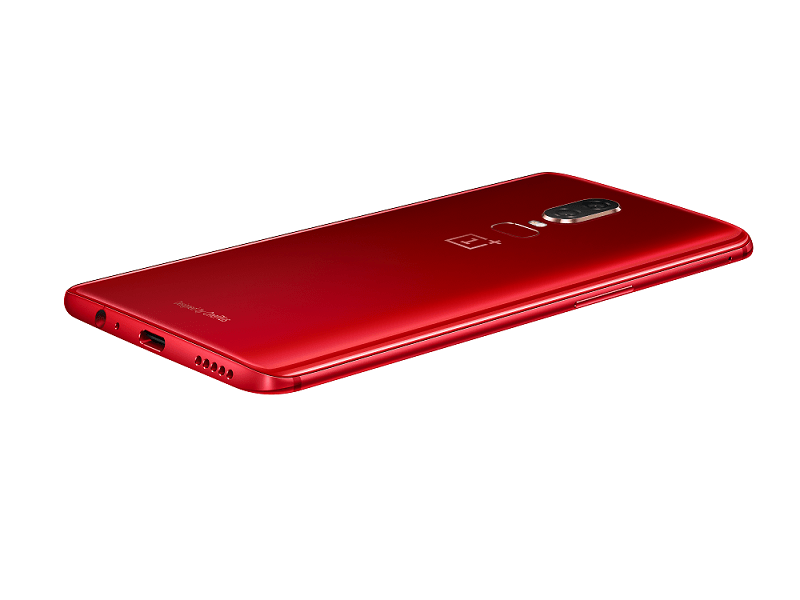 In a bid to be in the running for the best full-view display phones, OnePlus has also increased its display to a 19:9 aspect ratio to include a notch, which comes with an option to hide it if you prefer. Changing this option in your settings makes the background black, while still displaying icons that are dimmed. With a new screen resolution of 1080 X 2280 pixels, the picture and video quality make you want to abandon your television and laptop for good and just switch to ‘Netflix and Chill’ on your phone instead. The camera has moved to the centre of the screen — right above the fingerprint scanner — and works like a charm in low light. It also has a DSLR option which, when enabled, causes it to transform into a high-quality phone camera with which you can click pictures that are good enough to be blown up and framed in your living room. The Alert Slider has moved to the right-side of the phone above the power button so you can comfortably use it with your thumb – great for right-handed and ambidextrous users; not so good for left-handed patrons. Equipped with an 8 GB RAM and 128 GB storage and a tagline that says ‘The Speed You Need’, it’s not rocket science to assume that the speed of the phone is commendable, but actually experiencing it for yourself makes you really marvel at it. Like we mentioned earlier, the fingerprint scanner is on the back of the phone, but you’ll probably end up using Face Unlock in its place, which is extremely quick and works like magic in the dark. 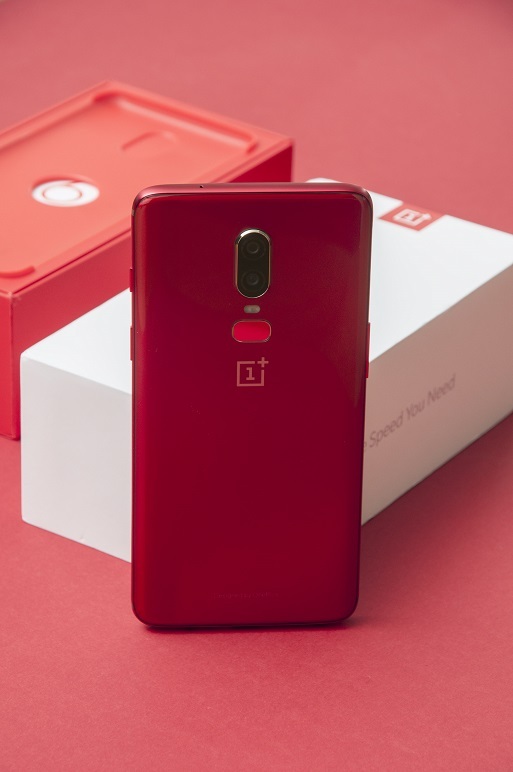 All in all, this is a phone that we have come to use and love, like its predecessors, but red being the colour of love makes it a little more special to us. – The round corners make for better grip, unlike other smartphones, which are like slippery eels. – The audio quality is worth mentioning when put on speakers during a call. – Gamers will also find this phone quite useful since it automatically shuts down most applications while a game is being played. The AMOLED display also provides a good gaming experience. – We will never really get tired of waxing eloquent about the battery life of the OnePlus phones, so here it is – again — 30 minutes of dash charging gives you 24 hours of battery life! Verve Exclusive: Does OnePlus 6T’s New Thunder Purple Variant Live Up To The Hype?